The new Sonik SK-TEK Levelbed has a multitude of high class features to ensure maximum comfort no matter how long your session may be. The centre section and shoulder area has extra elasticated lumbar support to provide maximum comfort whether you’re a front, back or side sleeper. This can also be tailored to suit your preferred firmness. The twin folding hinges gives the bed a completely flat profile and allow enough room to fold up with sleeping bag in place. 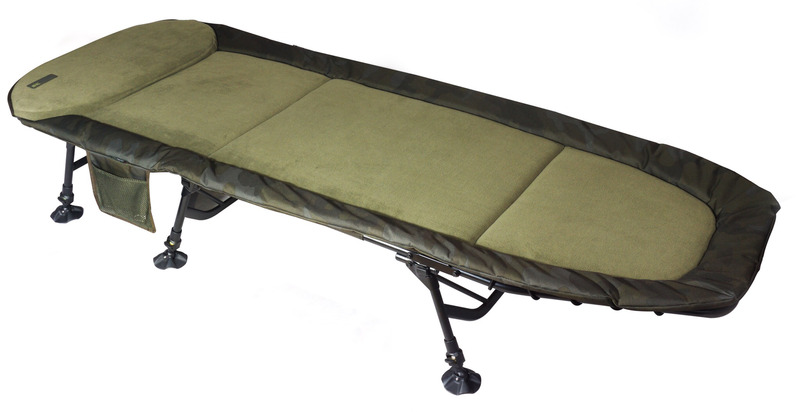 Fleece lined with our smart SK-TEK camo material surround with an extra wide padded pillow section.